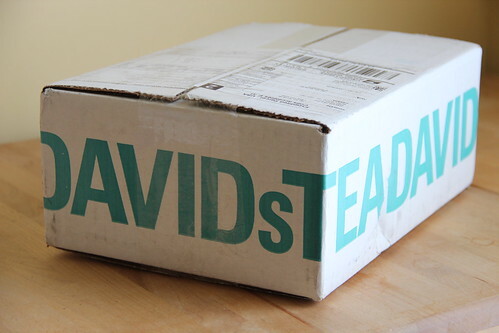 I don’t remember who first told me about David’s Tea but I was excited to place and order with them. It wasn’t until after I had already ordered that I realized that they were located in Canada and it would take a little extra time to receive my box. Even so I was pleasantly surprised that it arrived in about a week and a half, smelling delicious. For the most part I didn’t order samplers, but instead ordered 50g packages, most of which ranged from $7-8. 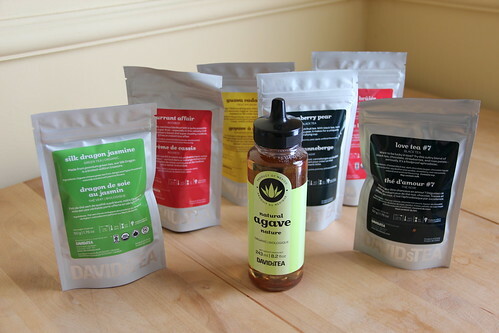 I was also curious to try the Agave that they sell, so you can imagine I hit that $50 for free shipping (even internationally!) pretty quickly. 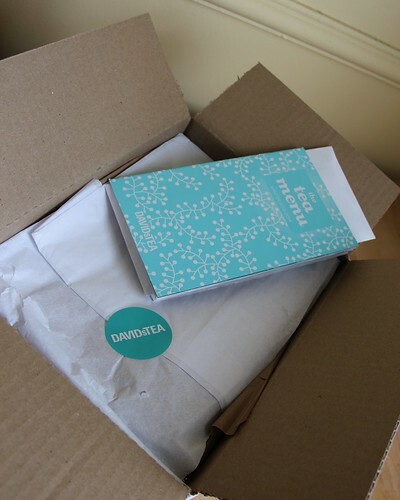 So far I cannot stop smelling the teas – they are so aromatic. I’m reviewing the first for you tomorrow so stay tuned!